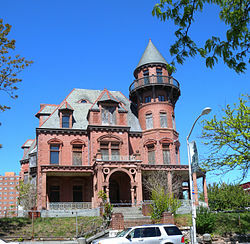 The Krueger-Scott Mansion was built in 1888 by Gottfried Krueger and purchased by Scott in 1958. The mansion served the community in a number of different ways. The first floor was used for "Scott College of Beauty Culture". There was a dentist office, a restaurant and an ice cream parlor in the basement of the home. There will be 86 units of market rate and affordable housing, with workspace for residents in a seven-story building. The project will sit behind the mansion, it is estimated to cost $29 million and should be completed in 18 -24 months. We can see the market in Newark turning around big time and we can't wait to see the great changes headed our way!